This post is all about sleep my oldest daughter Ashley has always loved to sleep and makes sure that she gets the proper amount of zzz’s each night. I know that sleep is important to properly recharge your body and achieve good health. I have put together a collection of some photos (eye candy) and links to some creative minds that all wonderfully relate to sleep. This dainty sleep mask is made with a recycled men’s necktie in light blue with a thin white diagonal stripes pattern. Reverse side is soft pale blue polyester. There is a layer of batting for a soft cushion and extra light-blocking. Created by Annett Malone with Ascot Handbags and Accessories which is an eco-friendly company. She crafts handmade items using recycled, reclaimed and vintage men’s neckties. 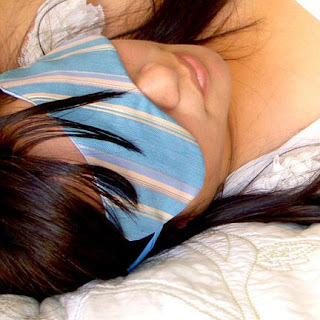 This mask is perfect for sleeping! The year of my birth; fine art print is a signed original photograph, carefully printed by the artists on premium matte paper. Ramble Rhys is the collective work of Dylan and Jordane Griffith, two young photographers from rural Maryland. I think this is the perfect image of peaceful rest. This sweet pillow is proudly made with 90% Recycled/Repurposed materials. In lovely natural colors of blues and beige. 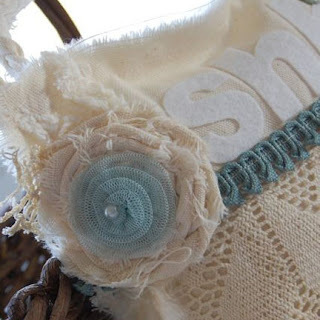 The felt letters "Shh" are made from recycled plastic bottles, the lace trim and buttons are true vintage goodies, the fabric is re purposed curtains along with fabric scraps and hand rolled rosettes! This up cycled doorknob pillow is created by Old Chateau. Certain people are luckier than others when it comes to getting a good night sleep. I have had issues sleeping, once I woke up my hubby with the sounds of our furniture moving about in our family room. He came out of our bedroom with his eyes half closed and said; what are you doing? I thought that I was being quiet as a mouse so I was totally surprised by his interruption. That night I woke up at 3 o’clock am wide awake and decided it was the perfect time to rearrange the furniture for a new and fresh look. I have had many a nights with little sleep. I made changes in my daily route that have helped like less caffeine during the day, oh I love just a good cup of joe, more exercise and drinking a warm cup of herbal tea before bedtime. I can tell you horror stories about prescription medication that I tried but let’s skip that in effort to keep this post upbeat. Over the last few years my knowledge of aromatherapy benefits with essential oils has greatly expanded. So I decided to create a few botanical or natural sleep aids that would do the trick and help cure my sleep issues thinking along the way it’s possible it might help and I may be able to help other that suffer from sleepless nights. 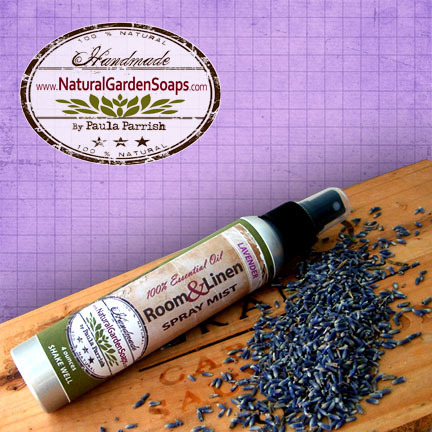 I handcrafted “Natural ZZZZs Sleep Balm” and “Lavender Room Linen Spray Mist”. In a tempt to sleep better each night before bed a started to spray the “Lavender Room Linen Spray Mist” on my pillow, bed linen and around the room. 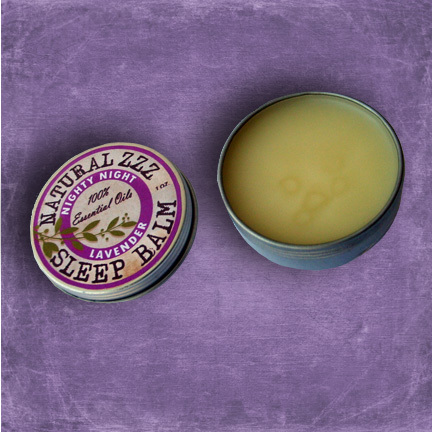 Then, I simply rubbed a little sleep balm on my temples, under nose, on lips, on face or neck. Since I have been using the sleep balm and linen spray I sleep like a baby no more waking up in the middle of the night. I’ll feel these products are well suited for restless sleepers and wandering night owls. “Lavender Room & Linen Spray Mist" to enhance a restful sleep, to induce relaxation or perhaps you may be so inclined to spray away destructive thoughts thus transforming them into positive feelings. 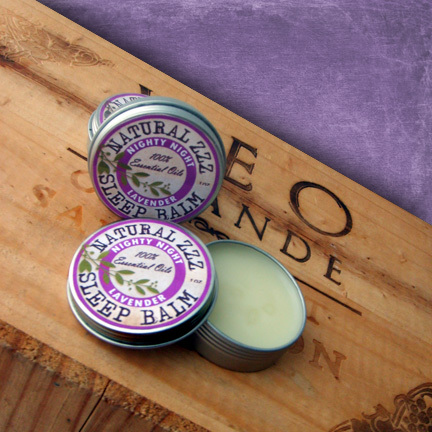 “Natural ZZZZs Sleep Balm” is dreamy night balm rich with valued essential oils to calm, encourage and relax restless sleepers. 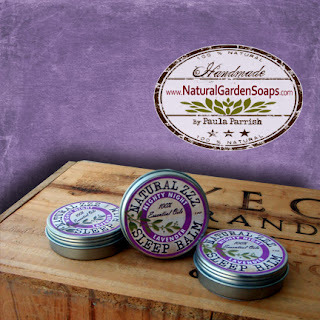 Aromatherapy is a popular concept and many people firmly believe in its benefits and value. Essential oils can contribute to better mental, spiritual, and emotional awareness. Before going too far into treatment for sleep problems, consider natural and botanical sleep aids through aromatherapy to help you catch your zzz’s. 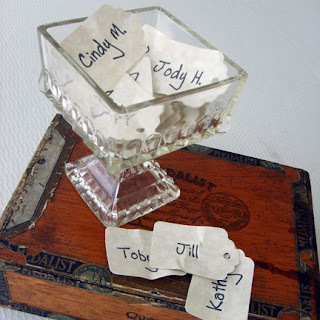 Congrats to Judi, you are the winner of this month blog giveaway. oh yea oh yea Judi...........you are the winner! You left this comment on my blog this month. 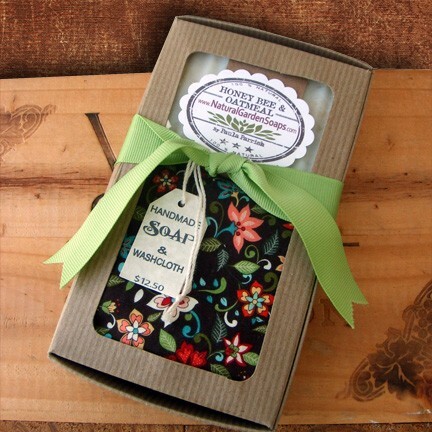 Judi email me at paulaparrish@comcast.net with your address so I can send you your new handmade soap gift set. My wife uses the Natural ZZZZs Sleep Balm. I'm a man and I did not believe in her sleep balm, but she sleeps snoring away and I am wide awake listening to her. I'm about tired of it, all I have is sleepless nights because she is snoring heavily and it’s my turn ....I guess I need to try it.... I haven't yet but I should try the sleep balm. I love your products in your Etsy store at www.etsy.com/shop/ascothandbags. 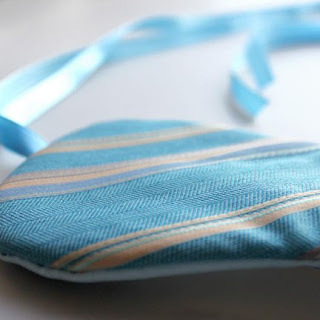 I like the fact that you create your items from recycled neck ties which is so green. OMG your recycled necktie clutches are so cute; I added my favorite clutch from your shop to my favorites (I hearted your item). So true about working out after a good workout that day when I hit the pillow I am out like a light. 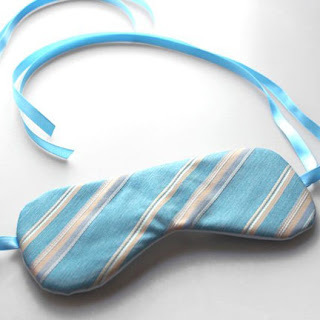 I think that is a wonderful idea to use your sleep mask every night to sleep. Thanks for stopping by my blog. Paula...thanks so much for hearting my clutch! I really love the contrast of the fabrics and the removable brooch. WOW I REALLY LIKE UR BLOG WHERE CAN I GET MORE INFO. ?